Croatia has become one of Europe’s new best-loved destinations, a country that brings to mind beautiful sun-drenched beaches, achingly cool music festivals and scenic island getaways. Croatia’s islands in particular get a lot of attention, with many people using the mainland cities as nothing more than departure points to catch a boat to the closest islands. 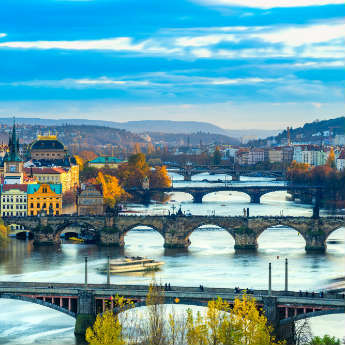 But the mainland coastal cities have their own appeal; they’re beautiful cities in their own right, and have the biggest range of transport links, making them the best place to base yourself if you want to travel around and visit lots of nearby islands and attractions. Here’s a fast guide to Croatia’s biggest mainland destinations. 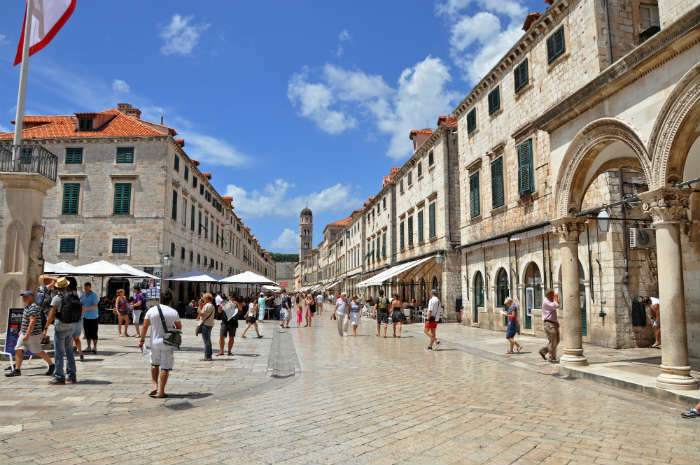 Dubrovnik was chosen as a filming location for Game of Thrones due to its medieval old town. The old city walls should be your first stop; they’re open for visitors to stroll around the top, offering lovely views and an opportunity for you to get your bearings. 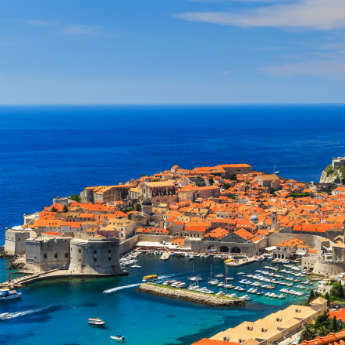 You can spend your days people-watching on the Stradun, Dubrovnik’s main pedestrian street, sightseeing at the beautiful Cathedral or visiting your favourite filming locations on a game of Thrones walking tour, and a visit to Dubrovnik isn’t complete without a cable car ride to the top of Mt Srd. Dubrovnik has a surprising number of beaches close to the town; the closest and most popular is Banje Beach by Ploče Gate where you can rent deckchairs and parasols or just throw your towel down for free, but other beaches close to the city are Danče Beach, five minutes west of the old town, and Buža Beach, a stony sunbathing spot which has an unusual setting in the shadow of the southern city wall. For a more peaceful location, walk a mile or hop on a bus to Sveti Jakov, a beautiful sandy beach nestled in a tiny bay at the foot of a cliff. Lokrum Island lies just off the coast of Dubrovnik and can be reached by boat in 15 minutes, making it a great day trip option for sightseeing, visiting Botanical Gardens and sunbathing. 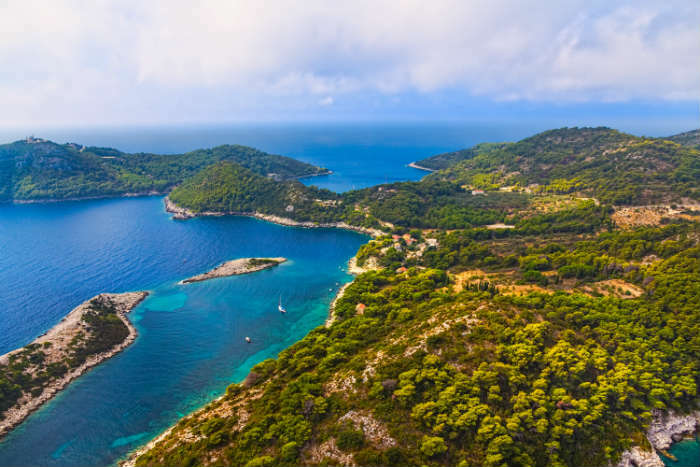 Slightly further afield but well worth the trip is Mljet; a 2-hour ferry ride is rewarded with breathtaking scenery in Mljet National Park. A lesser-known option is island hopping around the Elafiti archipelago, in which many islands are uninhabited and car-free for complete peace and quiet. The Diocletian Palace in Split’s main sight and one of the most impressive Roman ruins in existence. A guided tour is the best way to fully appreciate the complex, or you can buy a printed guide to help you find your way around. Next on the list is the Cathedral of St Domnius, where you can climb the bell tower for views of the city. People’s Square and Republic Square are two of Split’s most beautiful squares that host cultural and musical events in summer, and the Riva promenade on the waterfront is always busy with people, outdoor cafes and events. Split’s main urban beach is Bacvice, a sandy beach just a 10-15-minute walk from the city centre. There are several bars and restaurants there which make it a popular party spot after dark, and during the day you can try out picigin, a net-less variation of volleyball that’s only played around Split. Follow the coastline east and you’ll come across family-friendly Ovcice and Firule; Ovcice is pebbled but has a playground, while Firule is sandy with shallow water. 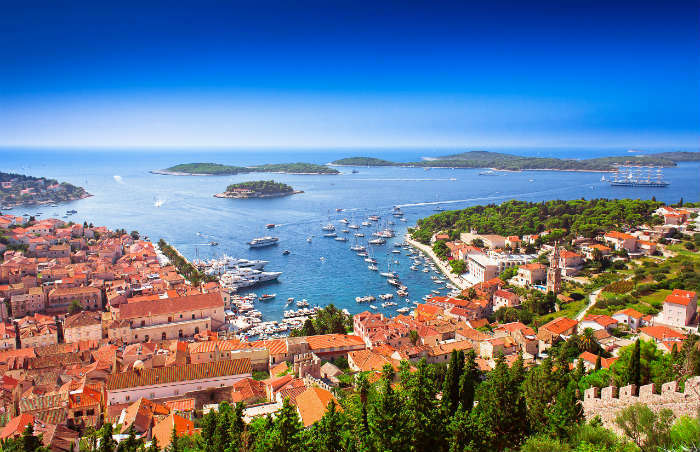 Split is the closest mainland to one of Croatia’s most famous islands, Hvar, a popular haunt for celebrities that features stylish bars around a marina where expensive yachts can regularly be seen. 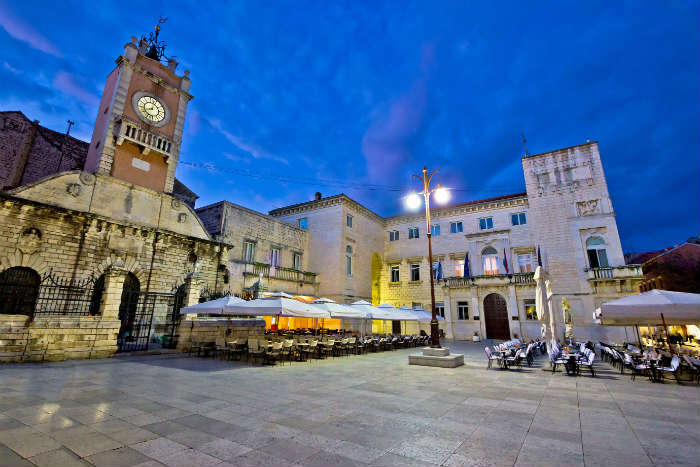 Trogir is one of the easiest destinations to visit from Split; this UNESCO Site town is on an island connected to the mainland by a short bridge and is small enough to see all the sights in a day and still have time to relax in a café over lunch or drinks. You can also visit Brac island, although time restraints may only allow you to see Supetar town where the ferries dock. 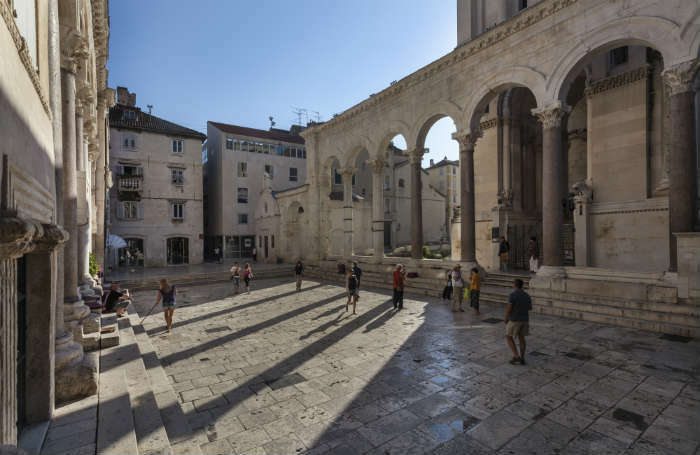 Zadar is an easy town to sightsee in as its size allows you to choose between covering all the landmarks in a day or spreading them out at your leisure – you’ll most likely pass many of the main sights as you wander to breakfast or the beach! St Anastasia Cathedral is a beautiful building with a bell tower that offers great views of the town and ocean, and next to it is the ancient Roman Forum where you’ll also see the Church of St Donatus and the Archaeological Museum. Down at the seafront are the unique Sea Organ and nearby the Greeting to the Sun – an installation of solar panels that light up like a dance floor at night. Zadar’s main city beach is Kolovare beach, located on the south side of the town with plenty of sandy space and a popular beach bar called Hitch Bar. However there is a more unconventional sunbathing spot on the other side of town – the famous Sea Organ. You’ll definitely read about the pipes built into the steps that create an organ-like sound as the waves flow in and out, but what you might not learn online is that sunbathers flock to lie out their towels on the steps. The lack of sand seems to do no harm to the spot’s popularity, and you can jump into the sea right from the steps. Zadar itself is small, but the choice of day trips is large. The gorgeous lakes and waterfalls of Plitvice Lakes and Krka National Park are both within a 2-hour drive, and you can book a guided trip from one of the many tour companies around the town. To get your island fix, book a boat trip around the stunning Kornati National Park, a collection of mostly uninhabited islands with peaceful beaches and crystal clear water. 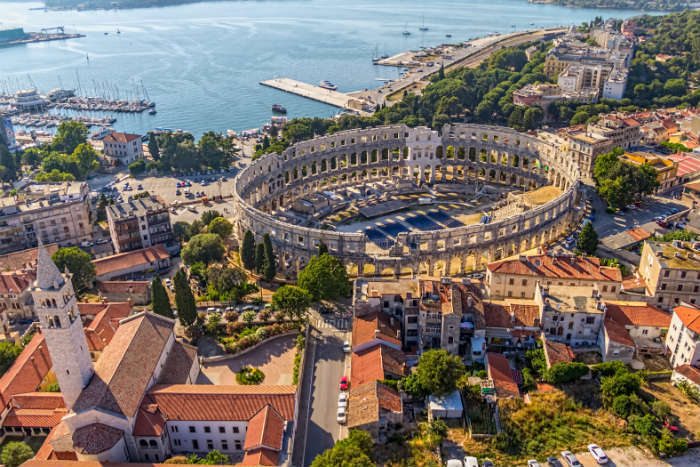 This spectacular city on Croatia’s Istrian Peninsula is famous for its Roman ruins and lush surrounding countryside. History buffs will be in their element exploring the ancient Roman amphitheatre, Temple of Augustus and Triumphal Arch of Sergius, all almost 2,000 years old. The town also has a more modern waterfront area, where you can stroll around the marina to look at the boats, eat at one of the many cafés and restaurants, or drop by in the evening to watch the beautiful sunset. 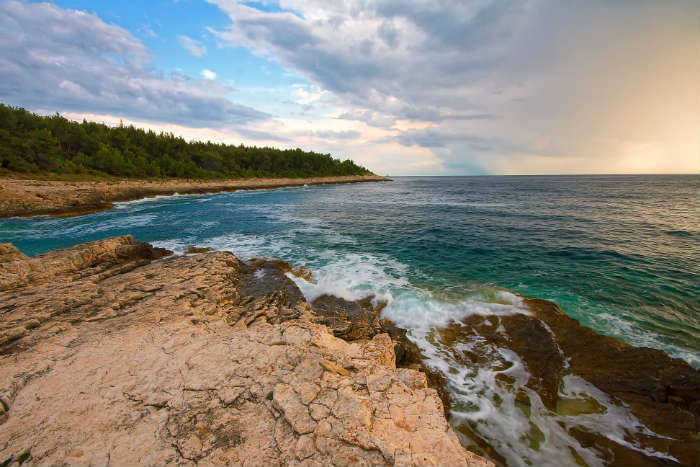 Valkane Beach is close to Hotel Pula on the edge of town, a 30-minute walk from the centre or a 5-minute car ride. About 3km south of Pula is the Verudela Peninsula, where you’ll have no shortage of choice for sunbathing spots. Ambrela Beach is, a sandy beach with shallow water and a Blue Flag award for cleanliness and facilities, and Hawaii Beach is popular with the teenage crowd – both are easily accessible in the tourist town of Verudela. The Brijuni Islands are an excellent day trip for those who love outdoor adventures – the national park can be explored on a guided tour or you can choose your own route. The small town of Premantura on the tip of the Istrian Peninsula leads onto Cape Kamenjak, a beautiful rural landscape with stunning beaches. You can even work a second country into your holiday – ferries leave Pula several times a week for Venice and you can quite easily take in the highlights in a day and return on the evening ferry. Feel inspired to discover Croatia? Compare deals and save with icelolly.com!